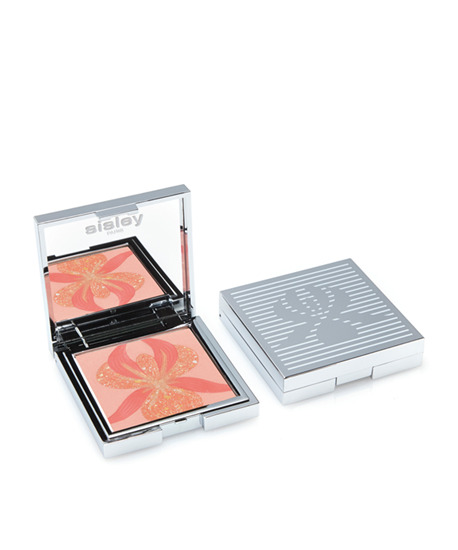 A highlighting BLUSH with an original ORCHID, Sisley’s emblematic flower, in harmonious “HEALTHY GLOW” coral shades to SCULPT the face and ENHANCE the complexion. WARM and LUMINOUS coral shades, that enhance and VITAMINIZE all complexions, from the fairest to the most tanned skin for a perfect RADIANT GLOW. L’Orchidee can be applied on its own ,or over foundatoin and / or Blur Expert. Apply with a brush. Take a small amount of the powder in a circular motion and apply as a blush on the key areas of the face or as a highlighter all over the face.